We're down to single digits! 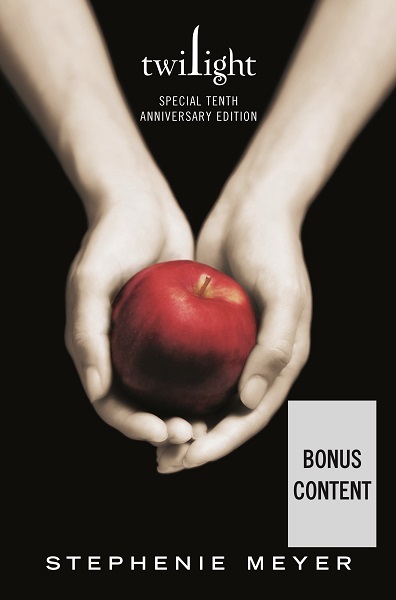 To celebrate #Twilight10, Stephenie Meyer is releasing an Anniversary Edition of Twilight​ with NEW BONUS CONTENT! Be sure to pre-order so you'll have it on release day!! I can't wait! 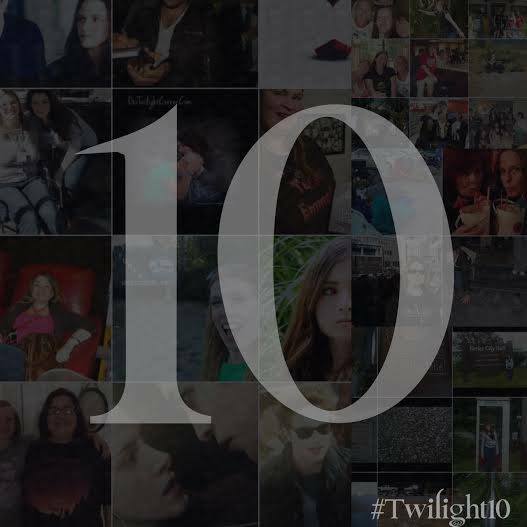 Can you believe it's been 10 years since Stephenie wrote the book that changed all of our lives forever? Time really does fly because it feels like just yesterday I was reading Twilight for the first time. Thank you to Stephenie for sharing your dream about an average girl and a sparkly vampire having a conversation in the meadow with us. I know the exact date that I began writing Twilight, because it was also the first day of swim lessons for my kids. So I can say with certainty that it all started on June 2, 2003. Up to this point, I had not written anything besides a few chapters (of other stories) that I never got very far on, and nothing at all since the birth of my first son, six years earlier. reading the book again after seeing/reading that?